IRGC Major General Mohammad Bagheri at a meeting of senior commanders. 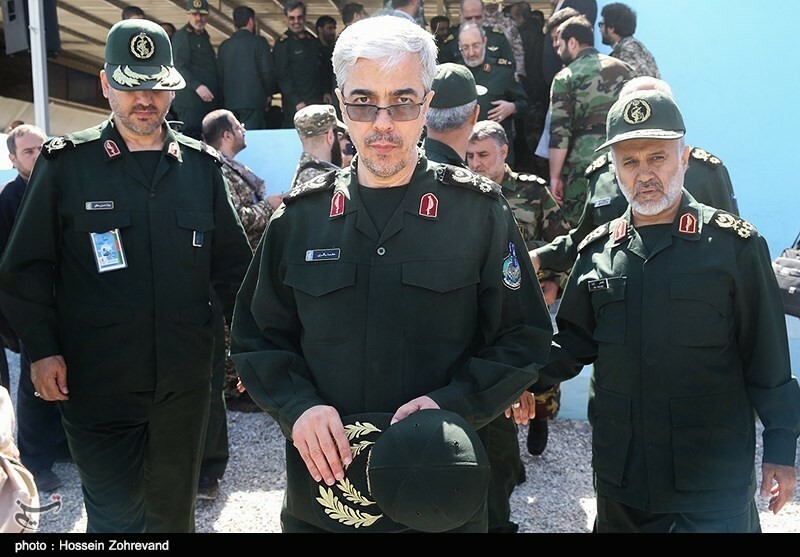 Major General Mohammad Bagheri from Iran’s Islamic Revolutionary Guard Corps (IRGC) was promoted Tuesday to the chief of the Armed Forces General Staff, which oversees coordination between the IRGC and the regular Army. Mehdi Mohammadi, a former Iranian government official close to pro-IRGC circles, wrote about some of the implications in a post on Instagram (former and current Iranian officials frequently use this medium) yesterday. Mohammadi was a member of the Supreme National Security Council Secretariat during the Ahmadinejad era, when Tehran pursued hardline nuclear policies, and has criticized President Hassan Rouhani’s nuclear policies. He now writes for major hardline media outlets as an analyst. The armed forces would be “more revolutionary,” according to Mohammadi, and there would be several changes in Iran’s armed forces. Cutting-edge strategic thinking would be injected into the armed forces structure. Coordination would improve between the IRGC and the regular Army, according to Mohammadi. The armed forces would prioritize new threats including cyber warfare. The military would boost external operations including the Qods Force and enhance Iran’s “geopolitical agility.” Intelligence operations would also be strengthened, claimed Mohammadi. Does this mean that regular Iranian army units will be sent to Syria and to retake Mosul? IRGC forces may be exhausted and depleted after 3+ years of fighting in support of Syria’s Assad. Has anybody told Obama and Rouhani? How about the missile forces, will they too commence external missions armed with better intelligence/RSTA?